This week the school term ended on the 15th of November and schools throughout Malaysia are now having the long end of year holiday . Already kids are frolicking in the mud playing football . 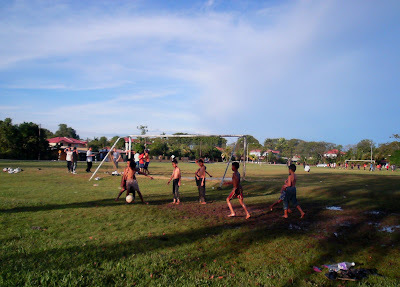 As I watched them play in the late afternoon sun I remembered my days when I was a kid just like them too. They reminded me now - Have Fun with Life.